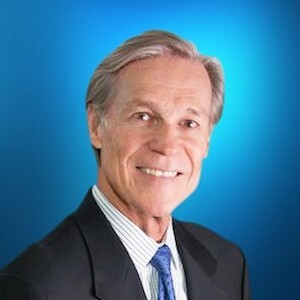 Our firm is dedicated to getting the word out about toy safety and recalls so the toys you buy for your loved ones are safe. World Against Toys Causing Harm (W.A.T.C.H.) just revealed its nominees for the “10 Worst Toys of 2018.” Is one of these dangerous toys on your holiday shopping list? 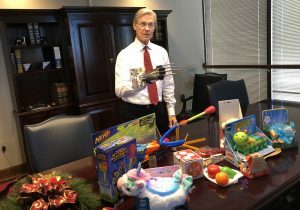 Holiday shopping can be stressful, but being aware of dangerous toys can keep holiday stress from turning into a holiday tragedy if a toy turns out to be defective and causes a child’s injury or death. With the endless supply of toys, being able to find out if a toy has been recalled is well worth doing. Some toys may not be right for all children. There are some toys you should stay away from when checking off your holiday shopping list. In 2017, the U.S. Consumer Product Safety Commission (CPSC) reported over 251,700 toy-related injuries treated in emergency rooms. The CPSC strongly recommends that holiday season gift buyers be on the lookout for recently recalled toys and children’s products that pose safety threats. Before purchasing any toy, why not take the simple step of checking to see if the toy is known to pose a hazard. Safe Kids Worldwide makes it easy to do. Many consumer groups have sampled toys and put out lists of toys they consider dangerous. The U.S. Public Interest Research Group (PIRG) listed a dozen inexpensive but dangerous toys in its 33rd annual “Trouble in Toyland” report. 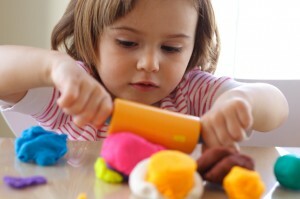 There is still a lot of work to be done, especially in a world where so many toys and other items for children are, like other products, made in China and other parts of the world that do not have the safety standards we have in the U.S.; this is reflected by reports of toys with paint containing lead, cadmium, or other heavy metals. The CPSC recommends parents, care givers, daycare centers, and thrift stores be vigilant and get rid of previously recalled items such as older toys and products that pose hazards. This is especially important with older baby cribs, baby walkers, strollers and high chairs. This points out that it is not only defective toys that can be dangerous, other products such as furniture, clothing and furnishings should also be checked for recalls. Also, be careful about where you buy. Thrift stores and yard sales can be spend-savvy places, but second-hand toys and other items for children may be broken or defective. Plus, without original packaging, age guidelines and warnings may not be there. The CPSC also provides age and other guidelines for shoppers to follow to keep children safe. Think SMALL. Make sure all toys and parts are larger than your child’s mouth to prevent choking. If a toy can fit through a toilet paper tube, it is too small and should be kept from young children. Be careful when buying crib toys. Soft objects, loose bedding, or any objects that could increase the risk of entrapment, suffocation, or strangulation should be kept out of the crib. Any hanging crib toy (mobiles, crib gyms) should be out of the baby’s reach and must be removed when your baby first begins to push up on his or her hands and knees or when the baby is 5 months old, whichever occurs first. These toys can strangle a baby. Holiday shopping contributes to sharing the joy of the season with family and friends. There’s not much that compares to seeing the joy on a child’s face when they open a holiday gift. We all remember special holiday gifts we received as children and want to find the perfect toy that will be just as special to the children we love. 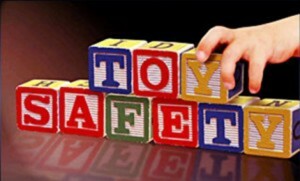 Please share our tips with your friends and family so they can purchase safe toys too. Let’s make it smart and safe.